Animal experimentation is the same thing as animal cruelty because even though their experimented on they still get harmed like burned, shocked, poisoned, isolated, starved, drowned, addicted to drugs, and brain-damaged etc. They should not allow that to happen to animals because they are living animals that need to get treated equally and not experimented on for helping in the use for curs of finding what virus or disease their trying to get rid of. It’s pretty much the same thing because it allows them to do anything they want to the animals and its upsetting to think they have the right to do that because they don’t care that their animals. This source of One World Education by Cheraine Pugh, explains animal testing is cruelty the student says “people have forgotten how our actions negatively impact animals. Animal testing is cruel and needs to stop, because it has far too many damaging consequences for animals, humans and the environment”(Pugh). The quote briefly explains how animal cruelty can affect as much as it does to the environment because people can be hurt as well as much as the animals are too. People can get frustrated and get hard feelings about the animals being experimented on because it’s cruelty for the animals getting hurt and dying. The people start protesting being violent, etc towards the experimenters and the businesses. 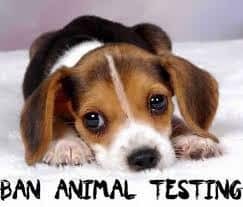 When animals are getting tested their mostly in the labs all the time they can also suffer severe stress from day-to-day laboratory life too. In the source Neavs the article about, Animals in Science / Research “Harm and Suffering” It explained, “They spend their lives in barren cages, unable to make choices or express natural behaviors. Most never experience fresh air or sunshine, only bars and concrete”(Neavs). While animals are getting experimented on they don’t experience life. It is cruel for them to not give them an opportunity to experience their natural habitat and that’s the reason why the animals suffer and come to death because of that lifetime process just being in the laboratory. The source Peta puts on an article about “Cruelty to Animals in Laboratories” and connects with us to see what can we compare to animals onto us humans. The article talks about animals in fear because of what their doing to them in the labs. Peta puts, “After enduring these terrifying, painful procedures, animals are then usually dumped back into a cage without any painkillers. Video footage from inside laboratories shows animals who cower in fear every time someone walks by their cages. They don’t know if they will be dragged from their prison cells for an injection, blood withdrawal, a painful procedure, surgery, or death. Often they see other animals killed right in front of them”(Peta). Animals are being severely suffered too much that they can hardly look at other objects and instead just crouch down in fear when someone walks past them thinking they would do something to them that would get them so scared and nervous. They are physically harming the animals mentally with the experimenting even though the animals didn’t do anything to cause that to happen. In countries, animals are fighting for their lives. They are becoming slaves, beaten, and kept in chains to make them suffer just for humans to be saved by viruses or diseases. They are put in to tiny cages so that they can die and eat them, they are also burned, blinded, poisoned, they cut them up alive, they are electrocuted, strangled, and skinned alive so that people can wear their coats and worse. Even though some animals share almost near the percentage to humans DNA they still aren’t the best to corporate for testing to humans. Their can be errors in the procedures and that’s cruel for them to painfully harm them for nothing so animals are bad test for humans either way. “Animal Testing Is Animal Cruelty.” Animal Testing Is Animal Cruelty | One World Education, Inc., www.oneworldeducation.org/animal-testing-animal-cruelty. This is source is credible because One World Education briefly gives me a credible source about other people’s opinions. Cheraine Pugh is an ambassador of One World Education, she is a representative and promoter. “Animals in Science / Research.” Harm and Suffering, www.neavs.org/research/harm-suffering. This is credible because Neaves is a national, registered nonprofit organization “dedicated to ending the use of animals in research, testing, and science education” and replacing them with “modern alternatives that are ethically, humanely, and scientifically advanced. “Cruelty to Animals in Laboratories.” PETA, www.peta.org/issues/animals-used-for-experimentation/animals-laboratories/. this source is credible because Peta is an organization to help animals in lab to be saved. This can help many people and animals because the affect in the environment won’t happen and Peta is helping by getting other people info about the situation. It is the largest animal support group and wants animal to have rights as well. Animal Experimentation is Animal Cruelty by Briceida is licensed under a Creative Commons Attribution-ShareAlike 4.0 International License. Nazi Experiments On HumansIs Testing on Animals Ethical? This was an informative essay with lots of reliable and interesting sources. I agree that it is important to spread awareness of the cruelty that goes into the creation of our everyday products. Thank you for writing this post! Thank you for reading my post i appreciate it that you think my sources are helpful for readers to understand that its cruelty to test on animals. I totally agree with you that animal testing should be banned, after all about 90% of the treatments that work on animals, don’t work on humans. So its not worth killing so many animals for such a low success rate. It was great how you connected humans and animals in the way they are treated, and highlighting the fact that they get different medication than humans. I also wrote a post about animal cruelty, if you would like to check it out. Thank you for sharing your voice.